Today we will be climbing Mt Ibuki, which is one of the 100 famous mountains of Japan. The “100 Famous Mountains of Japan” are a list of mountains compiled in 1964 by a mountaineer known as Kyuya Fukada. The list was then popularised by Crown Prince Naruhito. The mountains in the list were chosen for their grace, history and individuality and almost all of them are over 1500 meters tall. We decided that it would be a great long term goal to try and climb all of the 100 famous mountains. 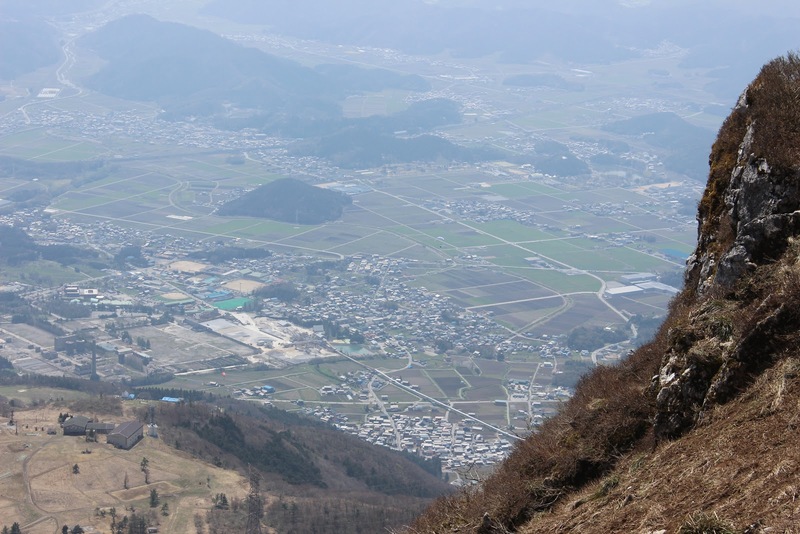 Mt Ibuki is actually not the first of the 100 famous mountains we have climbed. It turns out we have already climbed 4 before we made it a goal to climb them all. These are: Mt Kuju, Mt Fuji, Mt Ishizuchi and Mt Tsurugi. At the time of writing this article we have since climbed another 7, bringing the total to 12. 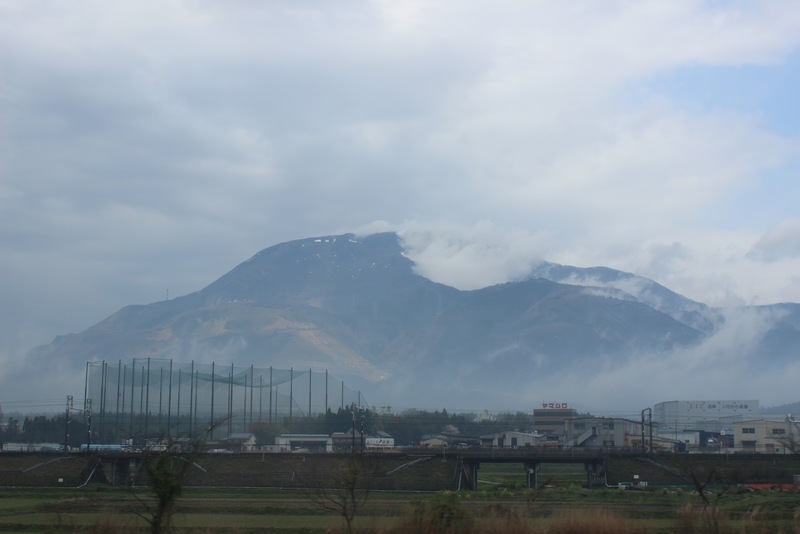 Mt Ibuki can be seen from the Tokaido Shinkansen and is quite an impressive looking mountain as it is fairly bulky or like massive looking. 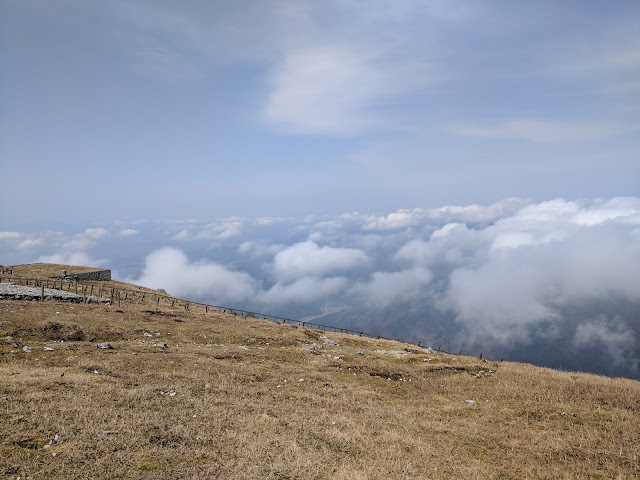 I guess that is one of the reasons it was included on the list as it is actually one of those few that is less than 1500 metres tall, at 1,377m in height. 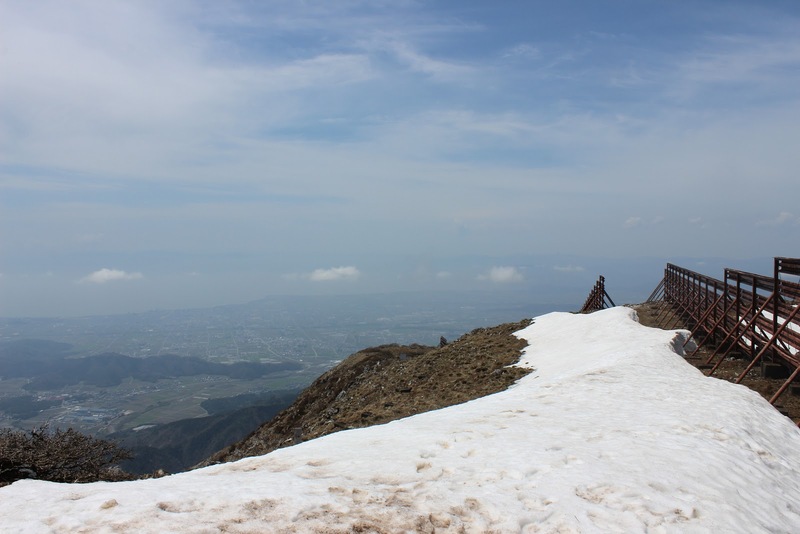 Mt Ibuki apparently holds a world record for the most snow fall, and in previous years was home to a ski resort. Thanks to climate change however, there is no longer enough snow in winter and the ski resort went out of buisness. In warmer months the summit is well known for its fantastic views and wild alpine flowers. It's not just hikers appreciating these things however, as there is a road that goes all the way to the top. 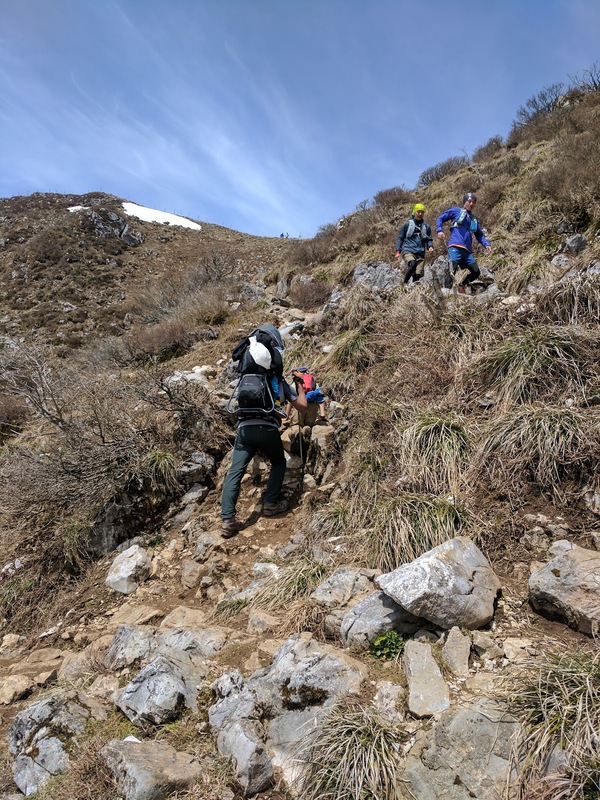 This makes hiking up the mountain a little anticlimactic, but in order to count you surely have to climb up from the foothills rather then the carpark. As an aside, I'm actually not sure where to draw the line here. 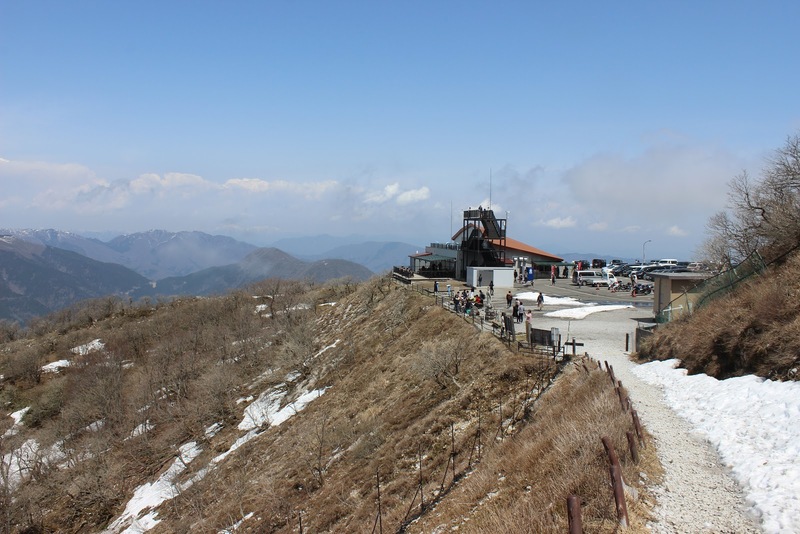 Driving up Mt Ibuki is a definite 'out', however few would argue you have to climb up from the first station of Mt Fuji (most people drive or bus to the 5th). 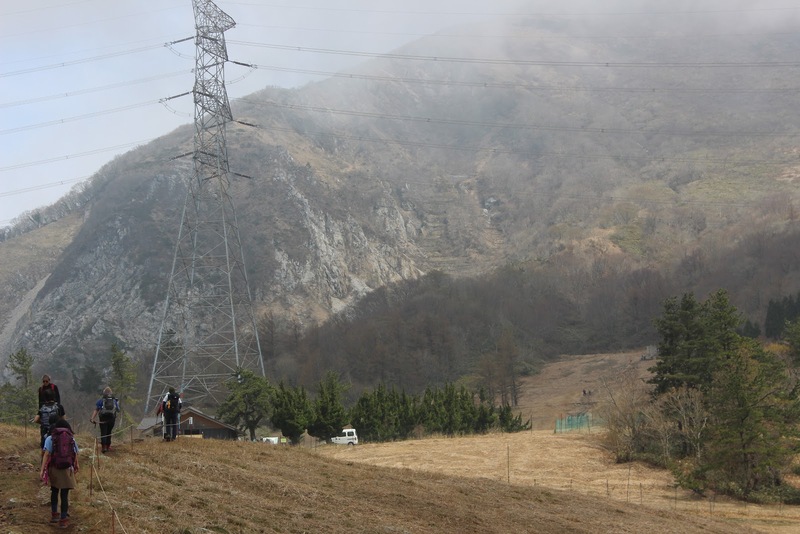 Other mountains such as Ishizuchi and Tanigawa-dake include a cable car and then a significant climb- I think that would be in. We claim that we climbed up Mt Tsurugi in Shikoku, but we did get a chairlift up most of the way. I'm counting that as 'in' but I do feel a bit guilty. Anyway. We woke up around 6:30 in order to get an early start. 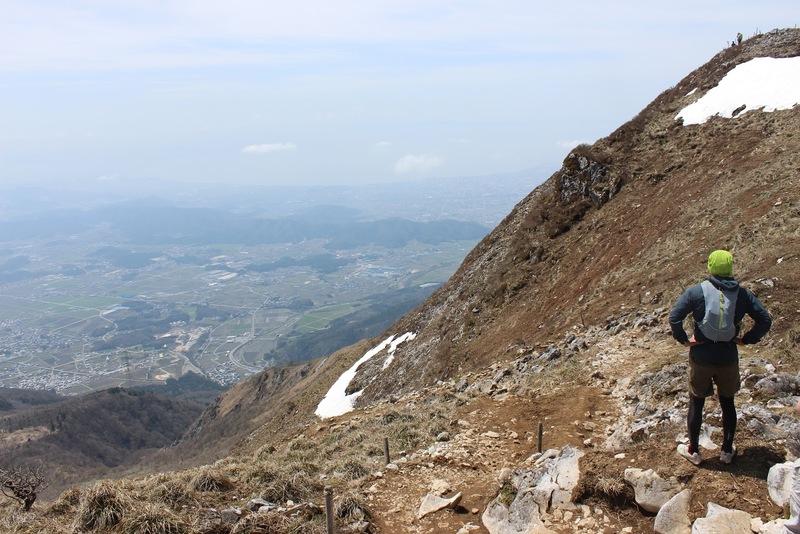 The total length of the hike up and down Mt Ibuki is 12.5km with a vertical accent of 1325m. My hiking book said it would take us 8 hours. We usually hike much quicker than this, but we also had to travel all the way down to Hiroshima in the afternoon. 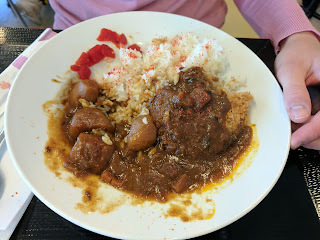 Although we had bought rice balls the night before, we had to go out again this morning to buy new ones as it turned out our Airbnb did not have a fridge. At the convenience store we were surprised to hear some really load police siren noises. 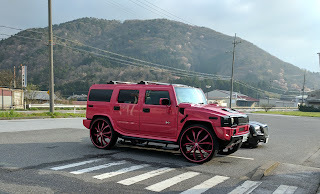 These turned out to be coming from a massive, bright pink hummer. 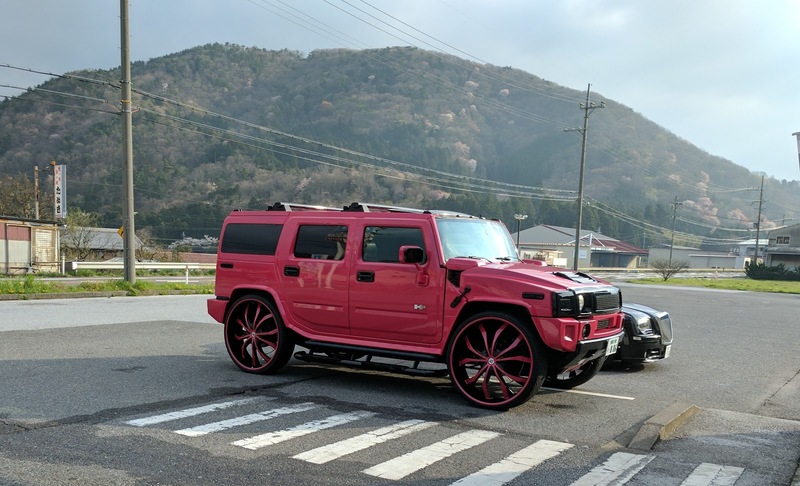 Definitely not a police car. Apparently making such noises isn't (or wasn't?) 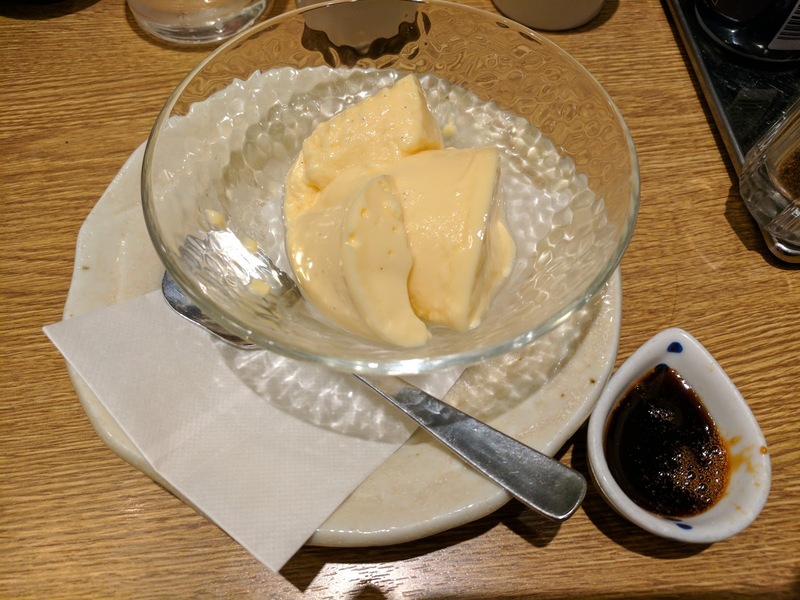 illegal in Japan. 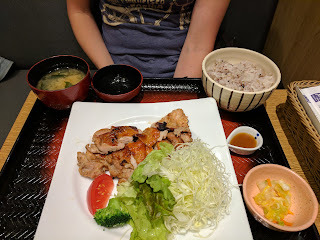 After stocking up on supplies, and eating breakfast, at a convenience store we caught the train a stop or two to Ominagaoka Station, and then caught a bus to the Ibuki Community Center. We thought we would be able to use lockers here, but we couldn't find any! We asked at the information desk and found that we could leave our luggage with them. 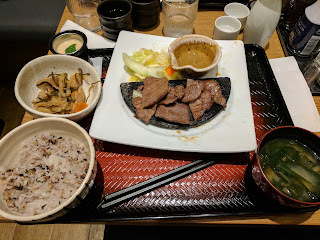 The only catch was we had to be back before they closed. I'm not sure if there were lockers at the station, but if there were we couldn't use them or even look for them as we had less than a minute to change from the train to the bus. After storing our luggage we went back to the bus stop and waited for the next bus. The trail up Mt Ibuki starts at the Sannomiya Shrine and we arrived at 9:00. There are toilets here, some parking spots and vending machines. Something we didn't notice right away was that there is a small fee collected to help maintain the trail up Mt Ibuki. 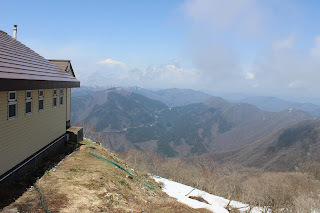 It costs 300 yen per person, and there is a little hut with a reception window right next to the trailhead. After paying we applied sunscreen and then it was time to start hiking! We set off at 9:15. The trail at the start led through forest and was quite muddy as I think it may have rained overnight. Along the way we saw a brown snake! 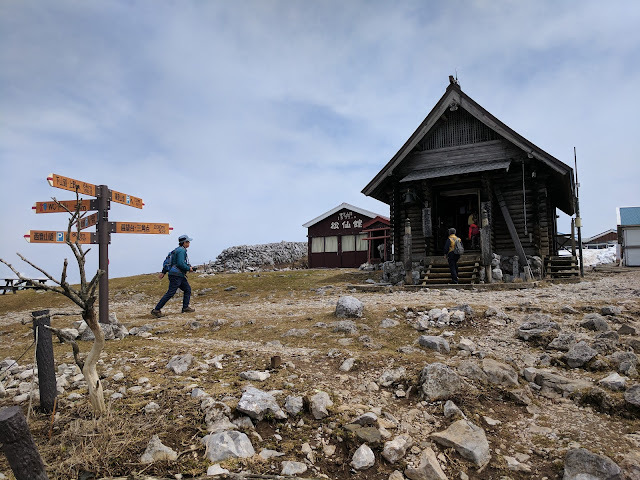 After 10 minutes climbing and squelching through mud we came out of the trees to find a bunch of buildings that are the remains of the old ski resort. This is the First Station （一合目）. 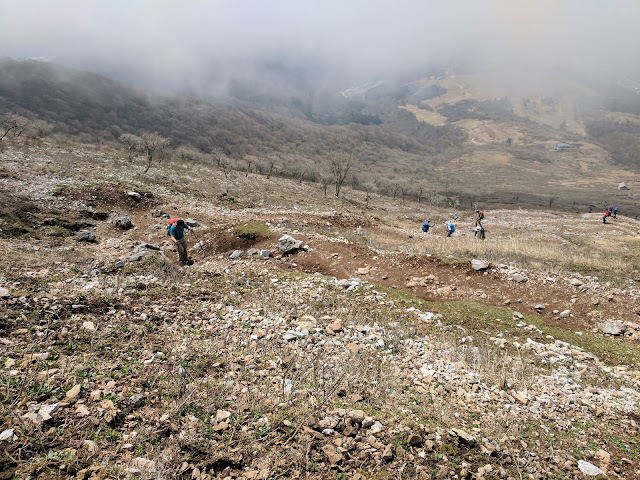 We stopped here for a little while to clean off some of the mud, and then continued climbing through up some grassy fields. 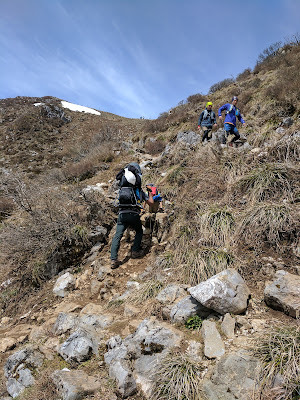 After another 30 minutes or so we reached the Third Station （3合目）which is 2.4km from the trailhead and is located at a height of 720m. There is a little hut here and a big sign on the different types of flowers. We didn't stop this time and continued climbing. After another 15 minutes, at 10:15, we reached the 5th station (5合目)- 880m high, 3.6km from the trail head. The trail from here zig-zagged through steep rocky/grassy fields. The various 'stations' were quite prominently sign posted and I took photos of most of them so I can say we reached the 6th station (990m, 4.1km) at 10:27 and the 8th station (1220m, 5.1km) at 10:47. I'm not sure what happened to the 7th and the 9th station, but the 8th said there was only 0.9km to go until the top. 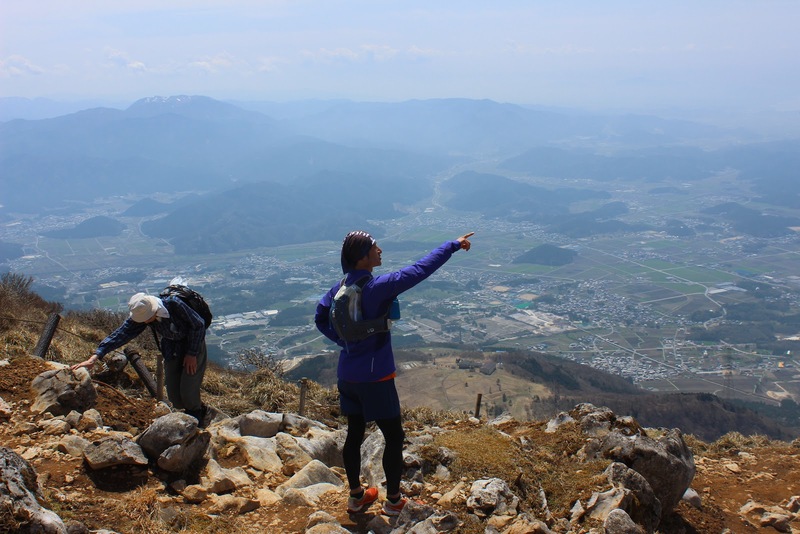 One of the main reasons we decided upon Mt Ibuki was because it is one of the few mountains that is climbable mid-April. This basically means, no snow. 10 minutes after passing the 8th station we hit snow! It wasn't very deep though, and was kinda slushy. It actually did quite a good job of cleaning all the mud off our shoes. After making our way through the snow field we reached the summit! The summit area had been cleared of snow and had lots of views. Unfortunately it was fairly cloudy so we couldn't see very far. The carpark was actually not visible from the summit, or at any point on the climb up, which was nice. 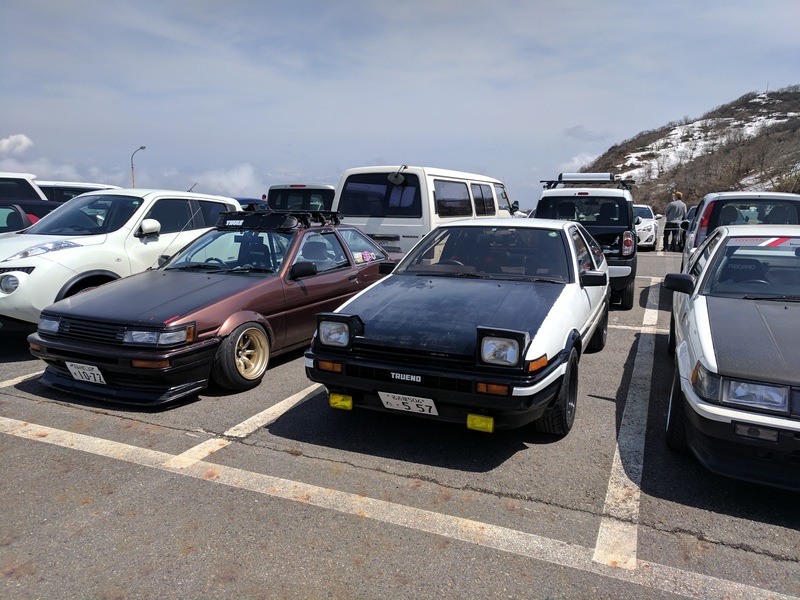 The carpark was a 10 minute walk from the summit and to our surprise we happened to find three Toyota '86 cars! These cars were made famous thanks to the Initial D anime. Two were Levins's but there was also a Trueno's- it even had the same paint job as in the show. Seeing them was pretty cool. Along with a souvenir shop, there was a kind of cafeteria next to the carpark. 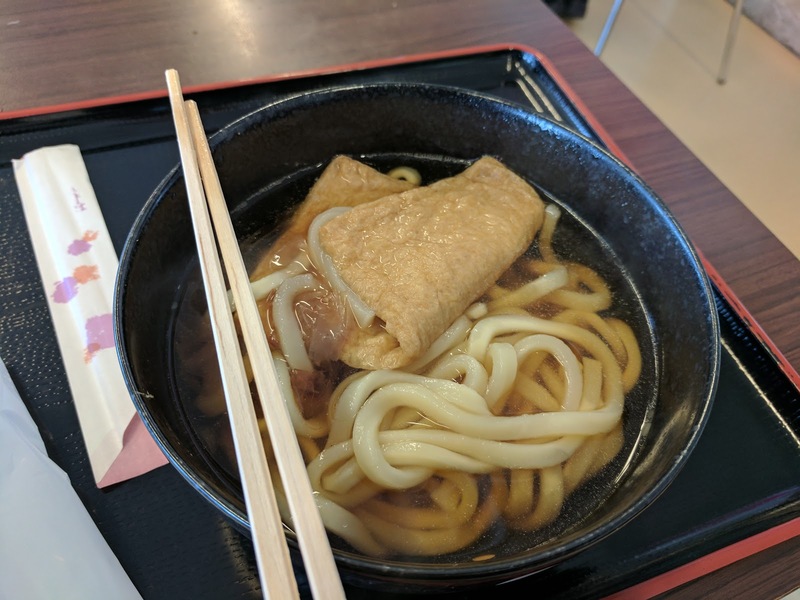 Food of offer included takoyaki, udon, ramen, dango, and curry. Kate got curry while I just got kitsune udon. I probably should have got something more exciting. After lunch we returned to the summit to find that the clouds had blown off somewhere to leave behind great views! 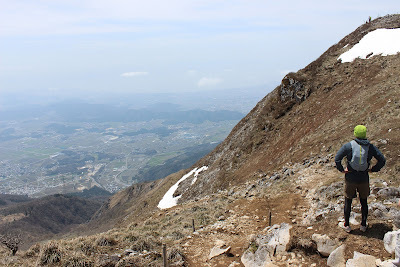 We could see the path up the mountain, the surrounding country side as well as Lake Biwa. We spent about 15 more minutes at the top enjoying the view, and then started to hike back down. We went down, down, down and moved as quickly as we could. It only took us 1 hour and 15 minutes to hike all the way back down. As there wasn't any busses coming for quite some time we ended up walking another 2km to the Ibuki cultural centre. There we grabbed our luggage and caught a bus to Omi-Nagaoka station. Next we caught a train to Maibara and then changed to a high speed shinkansen train. While waiting at Maibara we got to see lots of Nozomi shinkansen speed past at high speed, which was fun. We arrived into Hiroshima around 6:30pm or so and were really hungry. For dinner we went to a restaurant chain called Otoya. They specialise in Japanese set meals. The food is nice and very cheap. Since we worked hard hiking today we also ordered desert. After dinner we checked into our hotel and went to sleep. Tomorrow we will be doing a tour of the Mazda car factory in Hiroshima. 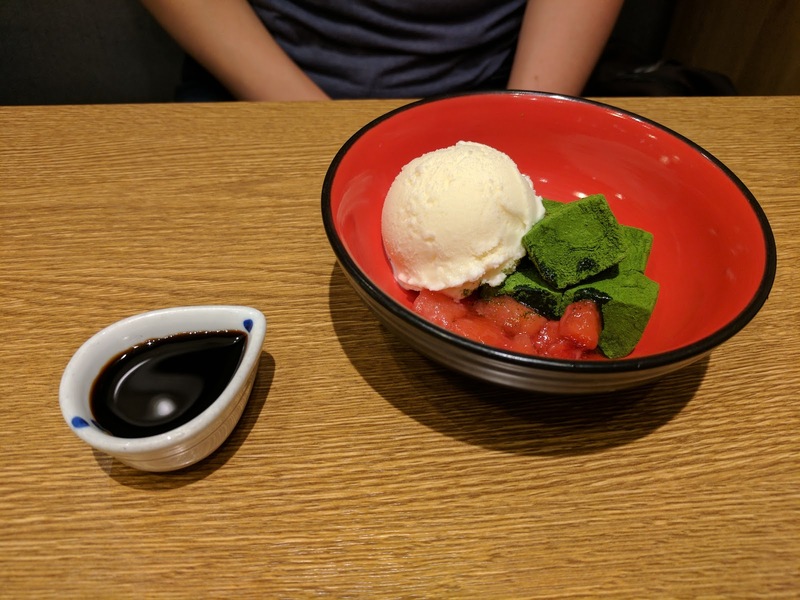 Wow, I didn't know you had a blog to deliver the life in Japan.